Posted January 23rd, 2019 & filed under Exercise. Our highly biased and not-at-all scientific research has shown that the average hike is at least 87% more enjoyable with a dog. Don’t believe us? Join us and see for yourself. 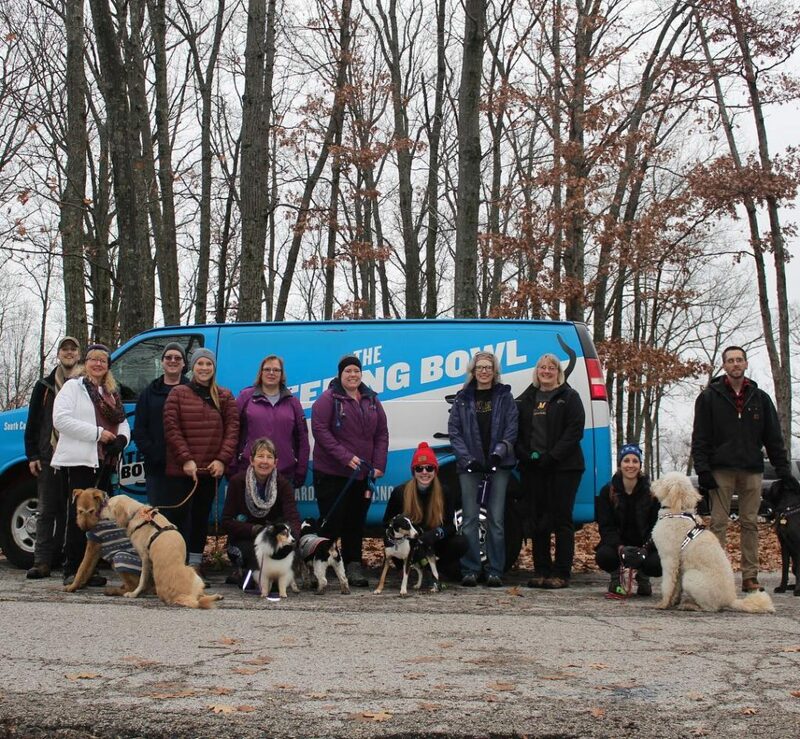 As part of our commitment to #DoMoreWithYourDog, The Watering Bowl will be leading people and pups along a series of hikes this year. Each month, we will take the (very visible) Waggin’ Wagon out to a new trailhead and invite all of our friends and their companions to join us. There’s no fee and no cause other than our own desire to build stronger bonds between dogs and humans. Fittingly, the whole idea for The Watering Bowl started on the trail. We knew we wanted to find ways for people to get more enjoyment out of their time with their dogs. And vice versa. We organized a few hikes. We had friends join us with their dogs. And we realized that this was what we wanted to do with our lives. The hikes are part of what we do. They’re not a profit center, but they are important to who we are and how we feel about our clientele. We have the good fortune of getting to know each and every dog that comes in. (If you haven’t noticed, our staff goes to great lengths to learn every single dog’s name, every single day.) And this is our chance to get to know the humans on the other end of the leash and get to know each other as a larger cage-free canine community. Plus, it’s an excuse to play with our own dogs in some of the most beautiful places in the Midwest. So, check out one of our upcoming excursions. We keep it pretty relaxed, and there’s always a TWB employee with us who probably knows your dog. And we post all of our hikes as Facebook events, so keep an eye out for future ones there. Fair warning: the fresh air can become addicting.